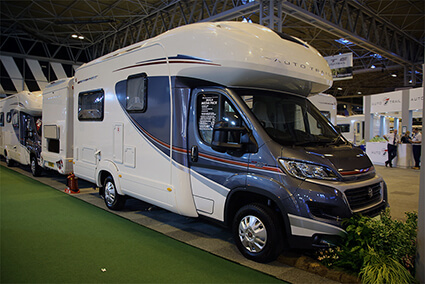 From 21st - 26th February our friendly Witter Team were down at the NEC for the Caravan, Camping and Motorhome show 2017. It was great to meet so many members of the public and the show even set a new record for visitors with a massive 94,000 of you coming down to the show to see everything that was on offer! It was great to see the show getting so much media coverage with BBC Radio 2's Chris Evans championing the event during his breakfast show and ITV's This Morning presenting some of the great products on offer during their live broadcast. 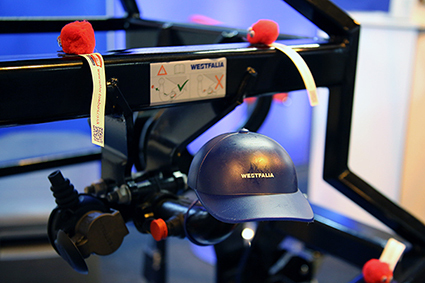 We had our great selection of bike carriers on display along with our towbars especially designed for motorhomes and for normal vehicles for those who are towing a caravan. 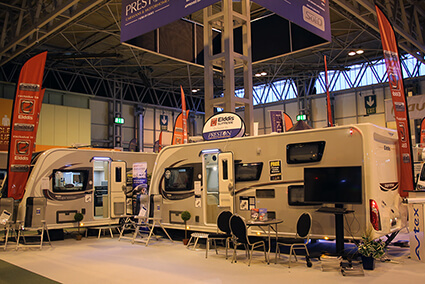 It was great to see the selection of latest caravans and motorhomes on show from some of the biggest names in the leisure industry. 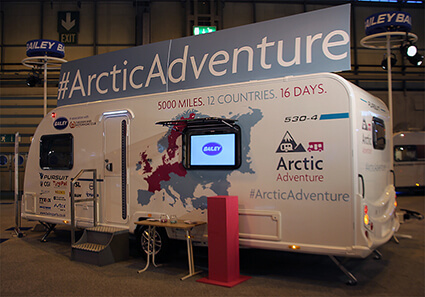 We were lucky enough to get talking with Lee Davey the Ambassador for Bailey Caravans who is off doing a 16 day Artic Adventure where he will be driving 5000 miles through 12 countries towing the Bailey Pursuit Caravan - we're not jealous at all!! Check out our twitter feed where we have been following him on his journey!